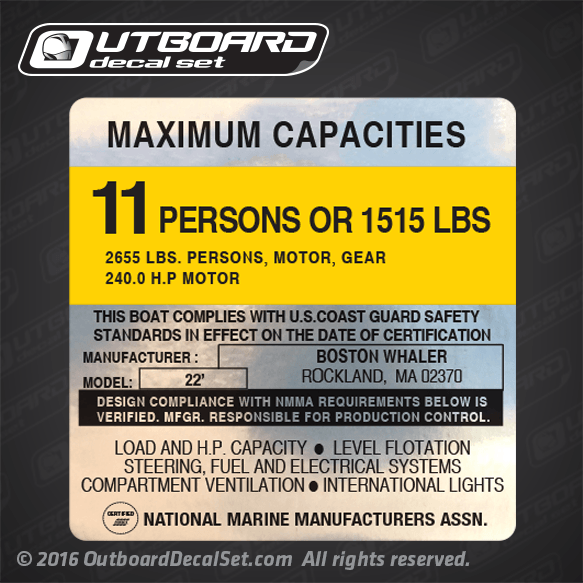 Boston Whaler Boat Capacity flat-vinyl decal for 22' models. Printed with Silver-Metallic Inks. VERIFIED. MFGR. RESPONSIBLE FOR PRODUCTION CONTROL. CERTIFIED NMMA NATIONAL MARINE MANUFACTURERS ASSN.